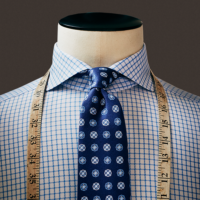 Formal wear | Paul Simon Co.
Paul Simon has been Charlotte’s formal wear headquarters for nearly 40 years. Our experienced staff will help the bride and groom make the perfect selection for their wedding. Our team will make sure that the groomsmen are fitted properly, and that the experience is seamless. Let us help you with your wedding. We will make it easy. 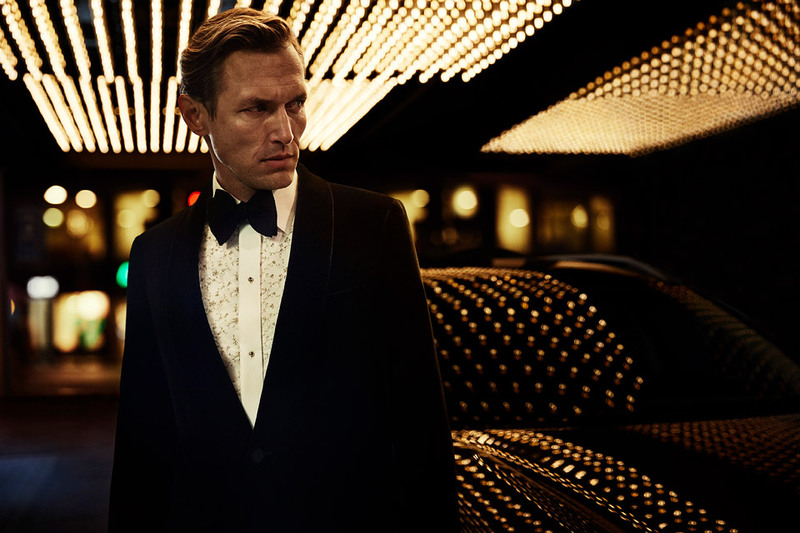 When special events call for a tuxedo, many men are content to follow the crowd. For those with their own sense of style, Paul Simon has the selection and the expertise to deliver understated individuality. Whether you are purchasing or renting, Paul Simon will exceed your expectations for the most special occasions. Classic elegance and contemporary style in perfect balance – the great celebrations in your life leave little room for compromise. 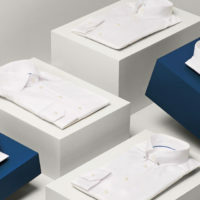 This range comprises traditional evening and tuxedo shirts in exclusive materials with beautiful textures and exquisite details, perfectly suited for formal occasions. You never look as good as in a tuxedo. 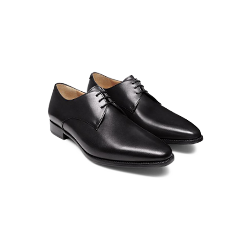 Master the black tie outfit with subtle details and a perfect fit. 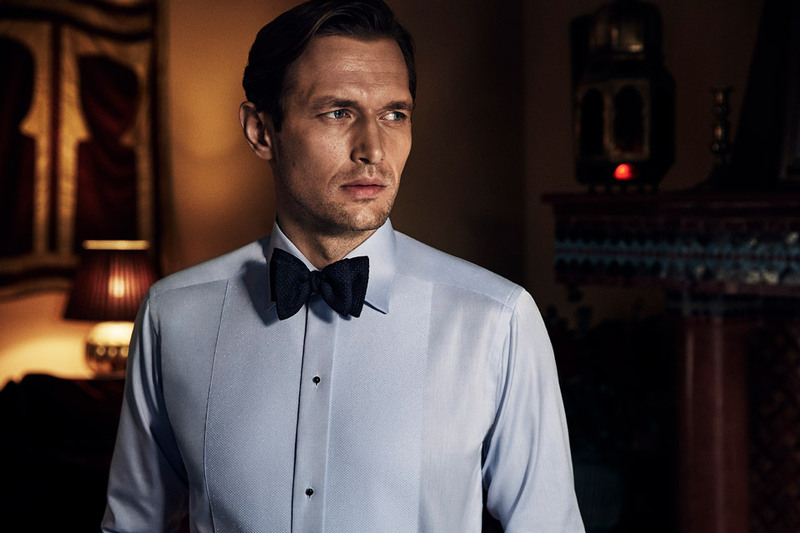 Our flawlessly tailored black tie shirts and luxurious accessories are designed for both the respected gentleman, as well as for the modern dandy who wants to outshine with his look every day. White tie, also referred to as full dress, is considered the most formal dress code and is often used at gala events and ceremonies. 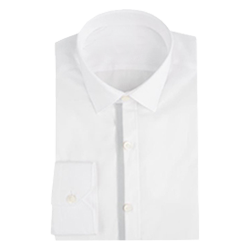 Our white tie shirt is crafted from a unique piqué fabric with wing collar, single folded cuffs and white stud buttons for an impeccable appearance. 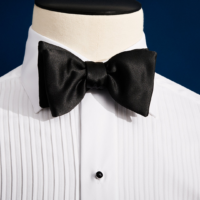 Complete the look with our white tie vest and bowtie for the correct white tie attire. For black tie the silk of the bowtie should match the lapels facing; grosgrain silk for grosgrain lapels and satin silk for satin lapels. Not sure whether to rent or buy? 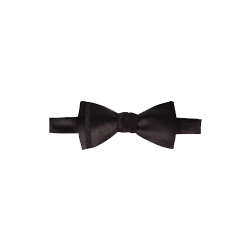 Learn how to tie a Self-Tie Bow Tie, one of formalwear's most iconic symbols. 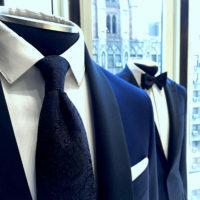 ▸ How the tuxedo rental process work? The tuxedo rental process is very easy. Please Paul Simon to learn more about the general steps involved. 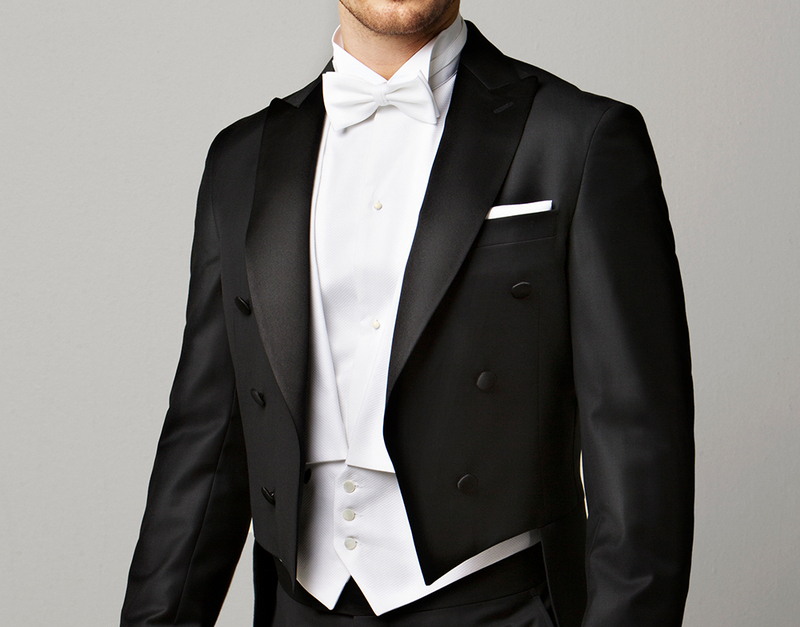 We are happy to provide you with answers to any aspect of the tuxedo rental program. STEP 2: Select your style. Browse our selection of pre-styled looks or build a custom ensemble to suit your tastes. With our personal, expert advice we will help you decide the style you are looking for. STEP 3: Get the perfect fit. 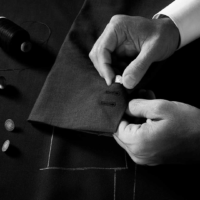 You will be professionally fitted by one of our formalwear experts. We'll ensure everything fits the way it should. 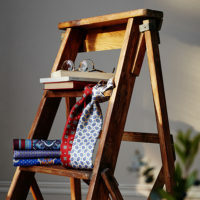 We will handle all the details of your order and have all the ensembles ready on the for pick up at Paul Simon. You can expect top-notch service and quality. STEP 5: Try it on. Enjoy. Return. Try on your ensemble as soon as it arrives in-store. Don't stress; if anything doesn't fit, we'll make any necessary adjustments for you before the event. 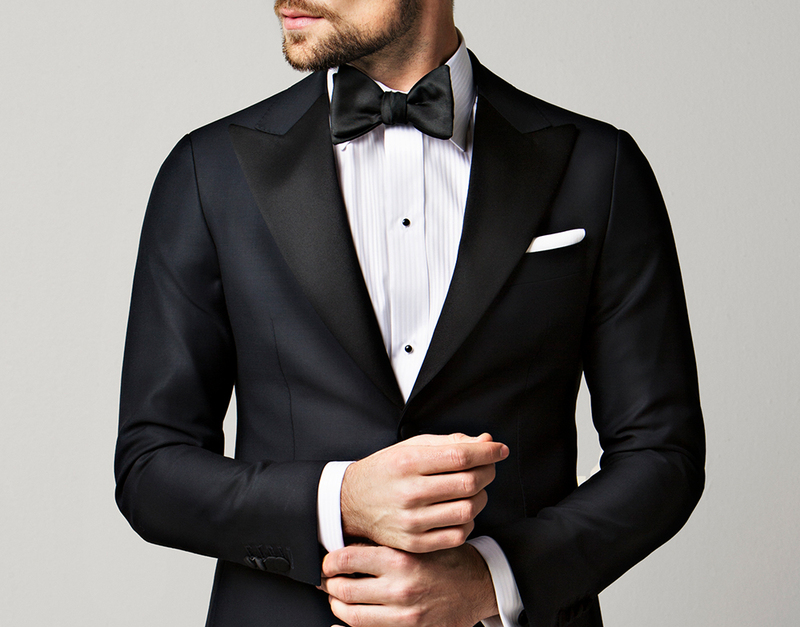 The easy part: Look terrific in your tuxedo or suit and enjoy your event! Return your tuxedo the next business day. 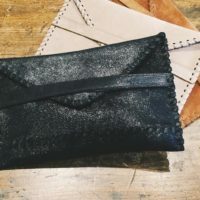 Ready to look your best? Let's get started! ▸ My groomsmen are located all throughout the country. How do I collect their measurements and get the information to Paul Simon? You can solve this problem by downloading the Out-of-Town Groomsmen Measurement Form. 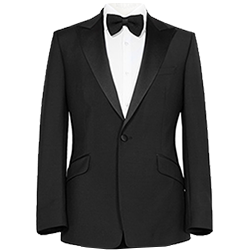 Use the form as a tool to collect the tux measurements for the gentlemen in your wedding who are too far from your chosen Paul Simon to be measured. ▸ What sizes do you offer? 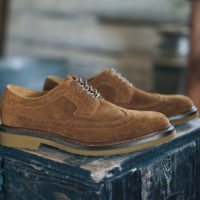 We offer both men's and boys' sizes. 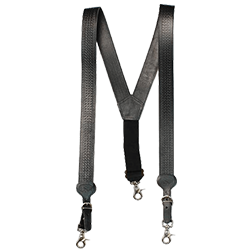 Reference the sizing information on each specific style for more accurate info, or contact our Customer Service Team with questions. 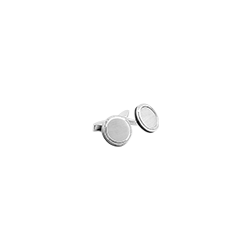 Cufflinks and Studs are generally worn with most formal shirts and may also be referred to as "Formal Jewelry." The studs and cufflinks are a key component to your tuxedo and we recommend they be worn with your tuxedo! Don't forget the value of a pocket square and the splash of color it can bring to your tuxedo! ▸ Can I measure myself for a tuxedo rental? ▸ Do you rent boys' sizes? Of course we do! Our boys' sizes start at a size 3 and go up to a size 18. 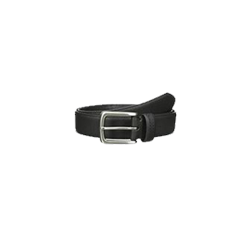 ▸ Do I need to have my measurements in hand before I can place an order? Yes, you must have your measurements to complete the process.